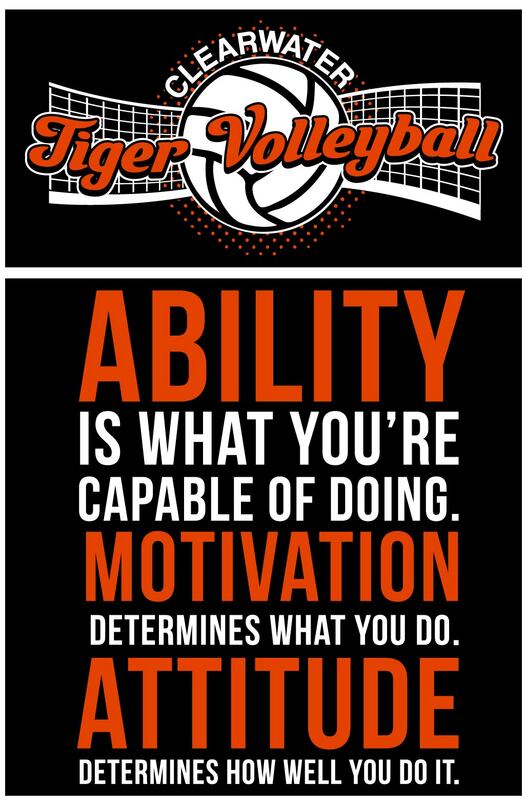 Support the Lady Tigers with a volleyball t-shirt! Orders must be placed by this Friday, August 24. Regular sizes through XL are $10 each; XXL and XXXL are $12. Please make checks out to Clearwater Volleyball, put money in an envelope, and write t-shirt sizes on the envelope. At the high school, you may turn in orders to the high school office or the high school library. In the middle school, give orders to Mrs. Saundra Hoppe and at the elementary, turn orders in to the elementary office. Thanks for your support!